Virgin Media has added 21 new channels to its cloud service Virgin TV Anywhere. Virgin has also added a number of other live channels, which are currently only available from a PC or laptop: MTV, Nick Jnr, Nickleodeon, Quest, Sky 2, Sky Arts 1, Sky LivingIt, Syfy, TLC and Universal Channel. “Whether our customers are looking for something to keep the kids happy, an enthralling drama or a cutting-edge documentary, the new line-up on Virgin TV Anywhere really does have something for everyone,” said Scott Kewley, Virgin Media’s multiscreen product director. 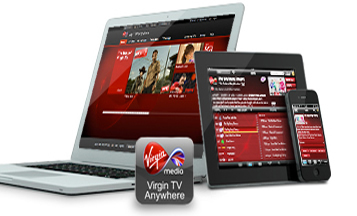 Virgin Media has also confirmed that they will be launching a TV Anywhere Android app later this year.